The most important thing about the Zimmerman verdict is that it's a clear demonstration of how the American legal system is only about law. It is not about justice. It is not even about the consequences of killing another person. The verdict demonstrates that, despite the protestations of the law that it is about justice, that's only a pretense to cover the reality: that when the law produces justice, it's a fluke, an accident, a surprise. The law is only about the law. And it's no wonder, when you stop to think about who makes laws and why. Justice is one of the last things on the legislative mind, if it ever gets there at all. And so the Zimmerman verdict can be seen as a metaphor for the American way of life and death these days, a psychic rorschach blot of our culture, a measure of the zeitgeist in the United States of Zimmerman, the US of Z. 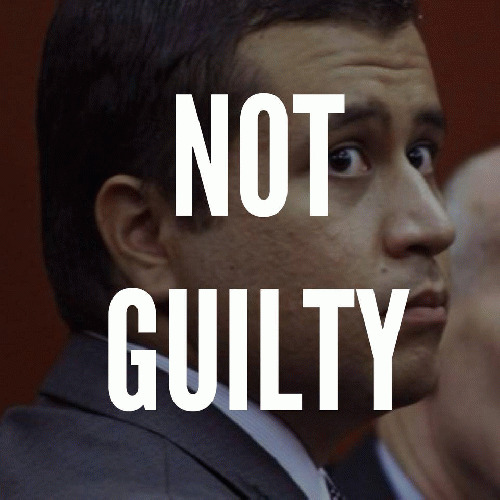 In the distorting mirror of the Zimmerman verdict we glimpse all too much of who we are today as a nation -- not what each of us is, nor what all of us are, but an inescapable collage of how exceptional we are in so many ways of which we should be ashamed. Here's a sampling of those reflections.